In 2010, Dr. Spencer Berthelsen was the cover CEO on the second issue of Texas CEO Magazine, featured in an article titled “Making Health Care Accountable.” The Affordable Care Act had not yet been signed and a great deal of change was on the way. 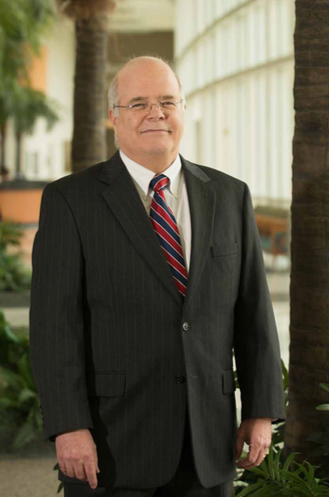 Dr. Spencer Berthelsen joined Kelsey Seybold in 1980 as an internist and retired in 2017 as Managing Director. In March 2017, Dr. Berthelsen retired as Managing Director of Houston’s Kelsey Seybold Clinic. We sat down two days before he left to talk about health care and what’s happened over the past seven years. Here is an edited version of the conversation between Publisher Pat Niekamp and Dr. B, as he is affectionately known by his colleagues and staff. Quite the week in health care with the roll out of the American Health Care Act. A lot has happened over the last seven years. What’s your view of health care from 30,000 feet? I think we’re making progress. I may be in the minority, but I think the Affordable Care Act was progress going forward. If you think of it as version 1.0 in health care reform, we’ll need several iterations and we probably won’t all be happy until we get to version 3.0. Being an optimist, even though it’s being called repeal and replace, what’s really going on now is version 2.0, an adjustment of the existing health care reform. My concern is that it’s gong to be done in haste. Health care is complicated and it took a great deal of time to get the ACA together — and that was just the Democrats. They should take their time because there’s a lot at stake from the Republican conservative side and from the Democratic liberal side and everyone in between. I think there will be advancement in the changes necessary to keep health care reform moving forward. There will be things in it that will have to be adjusted in version 3.0, which is probably another election cycle or two away. We’re like bumper cars moving forward to eventually get to something better. Let’s pretend for a moment. You are now the medical czar of the U.S. If you had an unlimited budget and all the people you needed, what would you do? In order to be responsive to the needs of the country, I would first assume my budget is not unlimited. I think you mean unlimited in regards to the planning part. What the country needs is to innovate our way out of this problem. All other industrialized countries have approached the problem of unaffordable health care by central control of the health care economy. That means in some form or fashion, some degree of limitation or price controls. Whenever there are price controls, you staunch innovation and you staunch further progress with coordination and modernizing the health industry. We need to steer clear of price controls but we need to nurture innovation. The innovation that’s going to save us is the accountable care movement. Health care is unusual in that it is an industry that can induce its own demand. As such, as a patient when you do go to a doctor and you know that you have a symptom, you don’t know if the problem is big or small and you don’t know if the solution is big or small, so you’re largely dependent upon the professionalism of the doctor to give you the right recommendation for the right total cost to solve the problem. In health care, that has been affected by relentless discounting of the unit cost. So the economic response is to increase the number of units offered to patients. As you increase the units, you increase the cost. No amount of discounting can overcome this utilization to maintain the revenue necessary to pay the bills and keep the lights on. What’s needed is a shift toward less focus on the unit cost, less focus on the external controls of health care and more focus on accountable care where you have groups of health care providers banding together with the idea they are going to take out unnecessary costs. And there are unnecessary costs — the Institute of Medicine thinks there about 30 percent unnecessary costs in the health care dollars we spend in the U.S. We know in the U.S. we spend twice as much as the average industrialized country. There’s plenty of opportunity for organizations to gather together on a regional basis to make sense with the most efficient health care system that is evidence-based and is collapsed around this optimal norm and taking out unnecessary costs — there is a lot of potential there. The good news is there’s plenty of money in the health care system in the U.S. and what we need to do is spend it more wisely. There is proof Accountable Care Organizations (ACO) do work and Kelsey is an example. We have proof we are able to take out unnecessary costs. We’ve looked back at the nine largest client companies who have had Kelsey Care for the last two years. Because they are large employers, they also offer PPO plans. We have data as to what the total cost of care was at Kelsey Seybold compared to the PPO — the average member weighted cost reduction is17 percent, and it ranged as high as 30 to 35 percent. That’s large employers comparing against a PPO in the same employer group. 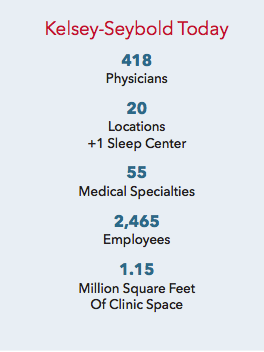 We were able to substantially reduce the total cost of care. We also have the example of the largest employer and group in the city of Houston where the trend rate on health care costs was going up about 8 to 10 percent a year and we took that to flat. The average over a four- to five-year period was about 1 percent. We are quite confident we can reduce the total cost of care. What is necessary for the ACO movement to succeed is that employers be selective in seeking out the most efficient health care system in their region. In doing that, you increase the competitive pressure for ACOs to deliver the quality of service, raise the value and take out the costs. Typically in a region like Houston, we need four ACOs and they need to compete effectively against each other. It will be just like every other industry subject to competition — it produces a better product and a better service in the end. The number of ACOs across the country has doubled over the last few years. That’s a fundamental change in health care and I think you could see what was coming. We have two core competencies — one, we take really good care of the patients we have and the second is managing the cost of care for the benefit of our patients. We keep the cost of our care lower. We do that by moving from expensive inpatient to less expensive outpatient, we treat earlier, we treat more efficiently, we avoid duplication, and we consult with each other through electronic medical records. We also share decision making with the patients — whether that’s surgery, medical treatment or another approach. When patients are fully informed, they recognize the benefit and risk of each option. They may suggest something other than what the doctor thinks they might want. When given the option, patients often go for the conservative side because they are the one who has to undergo the treatment. As all ACOs progress and competition increases, it will take us to the higher and higher hanging fruit. Right now, we’re still on low hanging fruit and there’s plenty of that. You’re still the medical czar. Let’s talk about the medical education you see necessary for new doctors in today’s health care environment. We used to be accountable for taking really good care of patients. You do the best you could for the patient in front of you each time you saw a patient — that is no longer sufficient. Now, we have to pay attention to making that attention affordable for the patient. There will be an attempt to get everybody to treat common problems the same way, which is the most efficient, agreed upon way to solve the patient’s problem. Let’s talk predictive analytics — you have a great deal of data. What is that data telling you about the population health at Kelsey Seybold? Is patient health getting worse or better? I believe there are vectors making us healthier and vectors making us less healthy. Ultimately, the goal of health care is not to cheat death, because we know that is not possible; but rather to maintain health, function, happiness and freedom from symptoms of morbidity as long as we can. Then when death does happen, we want that to be a relatively short period of time rather than a prolonged period of bad health. One of my colleagues said to me about 20 years ago, “As physicians, what we really do is offer time.” What he means is time in a state of relatively good health. We want you to feel good as long as possible.